The Irish DJ and producer Kristian Nairn, who plays the beloved character Hodor in the HBO series Game of Thrones, based on George R.R. 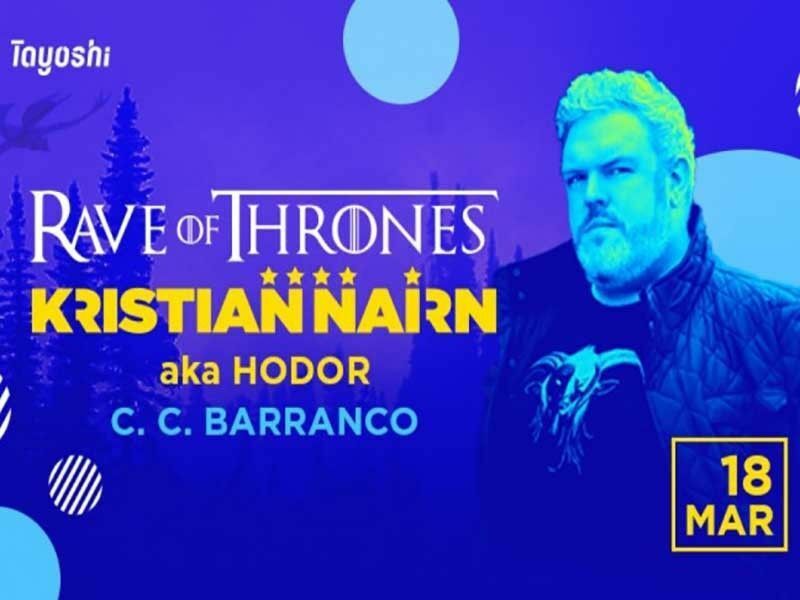 Martin’s best-selling novels, is coming to Lima in March showcasing some of the deepest house music from all seven kingdoms at his Rave Of Thrones party. 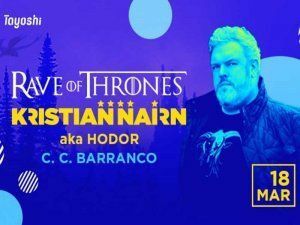 Nairn, who surely became extremely popular on an international level with his on-screen role of Hodor, foremostly is a well-known and recognized DJ and producer in the house music scene. Coming to Lima in March, he now brings his full set of progressive music in the Rave of Throne show to South America for the first time. Game of Thrones fans surely will have an unforgettable night with captivating music, light show and even some cosplay.